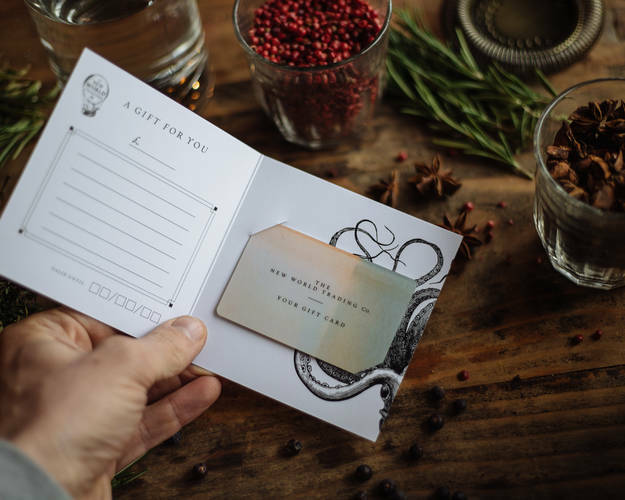 Introduce that special someone to our wondrous world with a New World Trading Gift Card and give the gift of a unique dining experience. With an eclectic selection of delicious delicacies, great food menus, live music and extensive drinks lists, our unique brands cater to every mood and appetite. A gift for an upcoming birthday, anniversary, graduation or simply a way to say "thank you" - no matter what the occasion, our gift cards are perfect for those who love good food, good drinks, and good times! What’s more, they can use it whenever they like, on whatever they like. From a relaxing lunch, a romantic dinner for two, drinks masterclasses led by our experts or a family Sunday roast - give the gift of good times...together. For those who are impossible to buy for, or simply have everything, a gift under the tree doesn’t get more marvellous than one of our gift cards to unwrap on December 25th. For more information on delivery and pricing, click here. Please note: e-gift cards (sent directly to your inbox) can be purchased right up to and including Christmas day for immediate send. 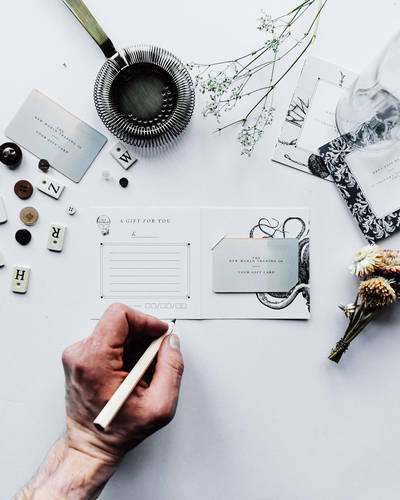 Gift cards can be purchased and sent online via email, or directly posted to you or the recipient by recorded mail (within 5 working days), or Special Delivery (next working day). For more information on delivery dates and pricing, click here. You may also purchase a gift card at any of our restaurants. Pre-loaded with your required amount (minimum £10) this versatile gift is ready to be redeemed against food, drink and masterclasses at any New World Trading Company venue. Click to view a full list of our venues. Already have a gift card? Lucky you! Someone has treated you to a wondrous occasion! Next, check your balance or simply find your nearest venue. Don’t forget you can spend your gift card on food, drink or masterclasses at any New World Trading Company venue in the UK.